Choosing a company name is the first and most important step in starting your LLC. Be sure to choose a name that complies with California naming requirements and is easily searchable by potential clients. 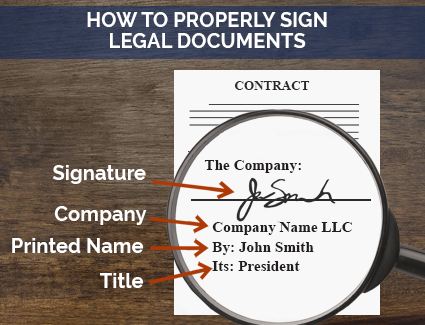 Your name must include the phrase “limited liability company,” or one of its abbreviations (LLC or L.L.C.). For a complete list of naming rules in California, you can read California's Code of Regulations. 2. Is the name available in California? Make sure the name you want isn't already taken by doing a name search on the State of California website. You are required to nominate an Agent for Service of Process for your California LLC. An Agent for Service of Process is more commonly known as a Registered Agent in other states. What is an Agent Of Service Of Process? An Agent Of Service Of Process is a person or business that agrees to send and receive legal papers on behalf of your LLC. Such papers include service of process of legal action (if you are sued) and state filings. Who can be a Agent Of Service Of Process? An Agent Of Service Of Process must be a resident of California or a corporation authorized to transact business in California. You may elect an individual within the company including yourself. To register your LLC, you will need to file the Articles of Organization with the State of California. This can be done by mail or in-person. Mon-Fri. 8 a.m. to 5 p.m. Note (if filing in-person): Articles filed in person at the Secretary of State Office in Sacramento are subject to an additional $15 counter drop-off fee. This provides priority processing over applications submitted by mail. The filing counter is on the 3rd floor. If you’re expanding your existing LLC to the State of California, you need to form a Foreign LLC. What is the processing time to form my California LLC? 5 business days online or by mail, but may be expedited for an additional fee. What is the difference between a domestic California LLC and foreign LLC? An LLC is referred to as a "domestic LLC" when it conducts business in the state where it was formed. Normally when we refer to an LLC we are actually referring to a domestic LLC. A foreign LLC must be formed when an existing LLC wishes to expand its business to another state. If you are filing as a Foreign California LLC learn more here. California requires all LLCs to file an Initial Statement of Information (Form LLC-12) with the California Secretary of State within 90 days of forming your LLC. This can be done online, in-person, or by mail. An operating agreement is required when forming an LLC in California. For more information on operating agreements, read our California LLC operating agreement guide. Do I need to file my operating agreement with the State of California? No. The operating agreement is an internal document that you should keep on file for future reference. Workers' Compensation Insurance: A type of insurance that provides coverage for employees’ job-related illnesses, injuries, or deaths. Get a free quote with ADP. Federal: Use the U.S. Small Business Administration (SBA) guide to federal business licenses and permits. State: Apply for or learn more about licenses, permits and registration with the State of California's CalGold website. If you are selling a physical product, you’ll typically need to register for a seller's permit through the state of California’s website. This certificate allows a business to collect sales tax on taxable sales. If you hire employees, you will need to register for California Employer Taxes, which includes Employee Withholding Tax, Unemployment Insurance Tax, and Disability Insurance through the California Payroll website. There is a Franchise Tax for each LLC formed in California which varies depending upon your LLC’s income, learn more here. California requires LLCs to file a biennial report, also known as the Statement of Information, with the Secretary of State. This must be submitted on paper, by mail or in person (drop off). California LLCs are required to pay an annual Franchise Tax. You can do this online or by mail. You can pay by mail by making a check or money order payable to the "Franchise Tax Board," along with the Estimated Fee Form. $800 for LLCs with annual revenue < $250,000. LLCs may face fines and even automatic dissolution when they miss one or more state filings. When this happens, LLC owners risk loss of limited liability protection. A quality registered agent service can help prevent this outcome by notifying you of upcoming filing deadlines, and even submitting reports on your behalf for an additional fee. For more information, check out California's Tax Service Center. The minimum wage in California is $11.00 per hour. In California, wages are required to be paid at least twice during each calendar month on days designated as regular paydays by the employer. Track your business finances, including bills, expenses and income. Forming a foreign LLC allows your company to operate as one entity in multiple states. If you have an existing LLC and want to do business in California, you will need to register as a foreign LLC. This can be done by mail. To order a Certificate of Status in California, you must complete the Business Entities Records Request Form. You can submit this form either in person at the Secretary of State, or by mail. When you are ready to dissolve your LLC, follow the steps in our California LLC Dissolution Guide. GO-Biz: California's One-Stop-Shop for business.